Injured While Working at a Steel Mill? From the "Steel City" of Pittsburgh and throughout Western Pennsylvania, steel mills have employed thousands of workers for generations. Much of our nation has been built through their hard work and determination. It's unfortunate that these can be extremely dangerous workplaces with accidents that often cause devastating and life-changing injuries. 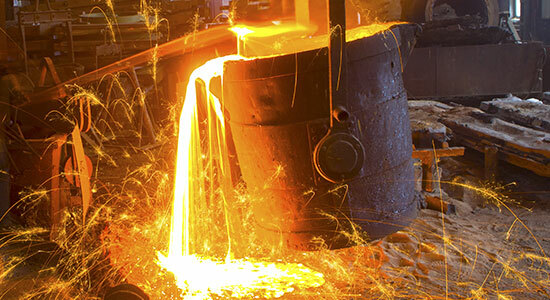 If you or a loved one has been injured in a steel mill accident, contact our experienced attorneys today. For a free consultation, call us at 1-866-943-3427 or simply complete the form located in the top right corner of the page. There's no fee when you call and no obligation to use our services. We're available 24/7, so don't wait to contact our legal professionals. An injury sustained in a steel mill can lead to a lifetime of medical bills, lost income, and even pain and suffering. Our legal professionals can help you get the money you need to provide for yourself and your family. Don't get pushed around by big insurance companies. We're here to stand up for your legal rights, and we'll fight for you. Steel mills are massive operations that involve working closely with a number of other companies. Whether you're hit by a delivery driver, injured from a manufacturer's defect in equipment – or anything in between – you may have more than a worker's compensation claim. Don't settle for anything less than you deserve. We'll help determine if you have a third party claim, and we'll fight to get you the maximum amount of money you deserve.